Choose Your Style! Choose Your Colour! Welcome to Brows & Beyond, a Melbourne based owner-operated Boutique Salon. Your Aesthetician is Angela Ritchie, Specialist in the exquisite Art of Semi Permanent Cosmetics, HD Brows Stylist and Dermatude Skin Rejuvenation Practitioner. 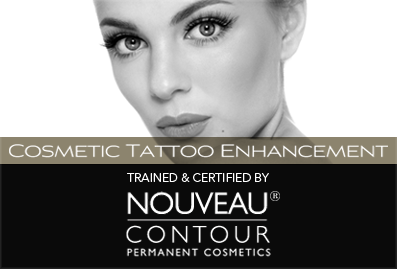 Semi Permanent Cosmetics is a highly skilled cosmetic procedure in which specially formulated hypoallergenic pigments are artistically implanted into the dermal layer of the skin to mimic conventional makeup, but with long lasting results enhancing your natural beauty. Imagine the luxury of always waking up with perfect arches, gorgeously defined eyes and beautifully shaped lips. Choose a subtle natural finish or perhaps a more dramatic, glamorous look! Whatever your lifestyle, semi permanent cosmetics is a fantastic solution to feeling good and looking great! HD Brows is the unique, in-demand treatment for the ultimate well-groomed, high definition eyebrows, totally transforming the way you look and feel! Unlike other eyebrow treatments that use a ‘one-shape-fits-all’ approach, your HD Brows stylist will assess your unique facial shape, features and colouring before creating a bespoke brow, tailored exclusively for you. 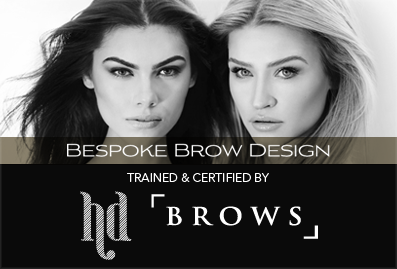 Brows & Beyond also stocks the exclusive HD Brows make-up range for brows and face for sale to clients. A collection of beautiful brow makeup, blushers, powders and palettes to suit every skin tone, along with professional HD Brows brushes for flawless application. 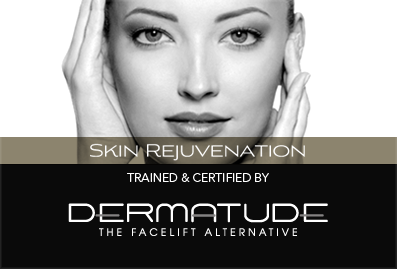 Dermatude Meta Therapy is an advanced new skin rejuvenation technique combining the benefits of several skin improvement methods into a single procedure. The dual-action treatment uses tiny needles to deliver serums into the skin at the correct depth whilst simultaneously creating gentle and carefully controlled trauma to the skin, activating the body’s natural healing response to produce collagen and elastin, which plumps, fills and firms the skin resulting in a smoother, fresher, more youthful appearance. Treatment zones include the face, neck & décolleté, as well as more client-specific treatments targeting fine lines and wrinkles.